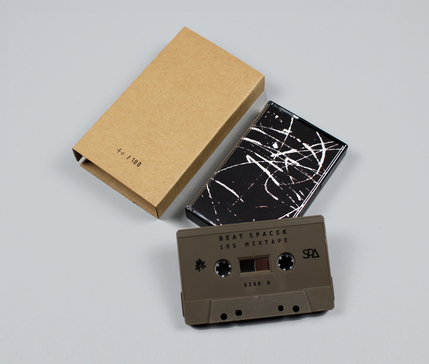 Back in September, Benji B (BBC Radio 1 / 1Xtra) aired a very special custom-built mix by Beat Spacek. Simply titled iOS MIXTAPE, it featured 60 mins of 100% exclusive unreleased beats from the legendary British singer/songwriter/beatmaker produced entirely using apps on iOS. We couldn't miss the opportunity to commemorate the mix with a physical format and a cassette felt like a natural vehicle for Steve's future-heritage aesthetic. 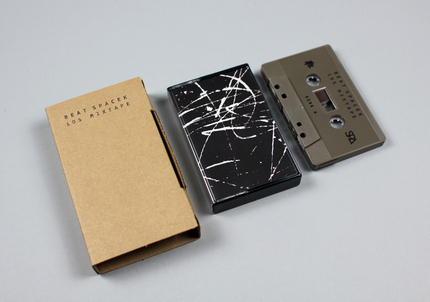 Military grey cassette in a black library case, housed in a hand-stamped and numbered recycled ECO card box. Edition of 100.